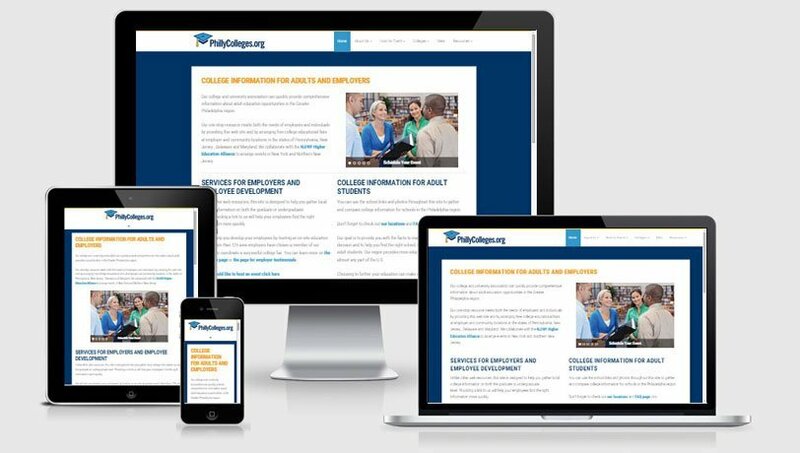 I first created a responsive website for PhillyColleges.org quite a few years ago, providing a site that was clear and easy to navigate, using a professional design coordinated with their new branding materials. More recently, they decided it was time for an update. For the design, they liked the look and feel of the site I’d previously created for them, so I freshened it up a bit and thought it would be a good time to get them using a theme framework. Functionality improvements focused on improving search engine optimization; creating a contact form for site visitors to contact one or more of the member schools; and implementing a member school search where site visitors could indicate desired program format, level, location, and subject in order to identify schools to explore further. When you buy any service, you obviously have a need. But meeting those needs (expressed and not expressed) can be so much more than utilizing an individual's technical expertise. This point was crystal clear when I compared Bonnie's thoughtful approach to my prior disappointing interaction with another service provider. Bonnie began with listening and exploring [our] needs. While we were hoping to find a new webmaster, the process was expedited when our website was shut down unexpectedly. Bonnie rode in on the "white horse" to save the day. She has been an exceptionally good communicator to help us work through this transition. Our board and members were thankful and have been completely satisfied with all of our interactions with her. I am confident that anyone using her services will be similarly pleased. To sum it all up...she rocks!